emergency brake from Casey Neistat on Vimeo. Here’s a great video about the emergency brake in the NY City subway cars. It explains a lot about New York. Improv Everywhere’s film of their 2010 No Pants Subway Ride … great fun. 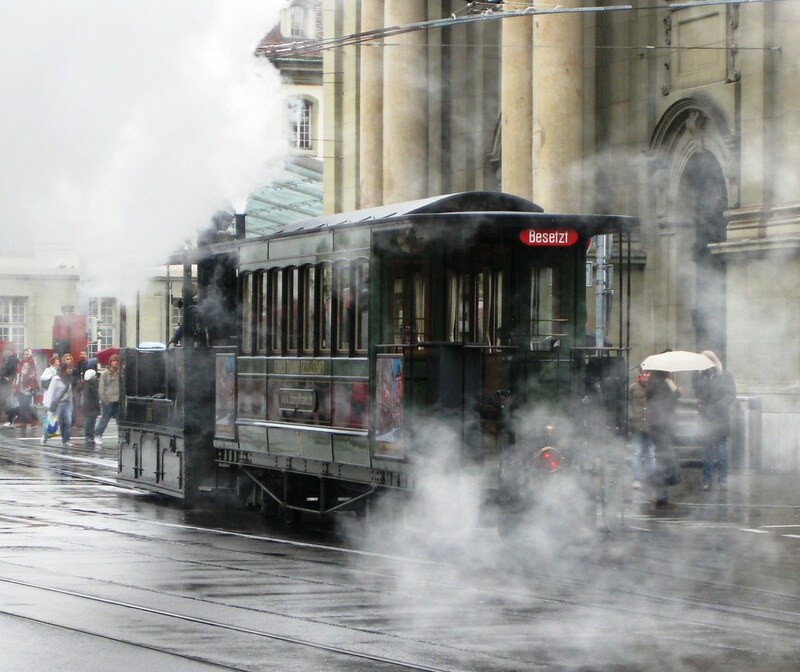 Steam tram in Bern (Switzerland) from my flickr photos (the subway replaced elevated steam trains in NY … sorry I could not find my photos from the fantastic NY Transit Museum). The IRT subway in New York began service on October 27, 1904! Here’s a link to the NY Times article Our Subway Open, 150,000 Try It.